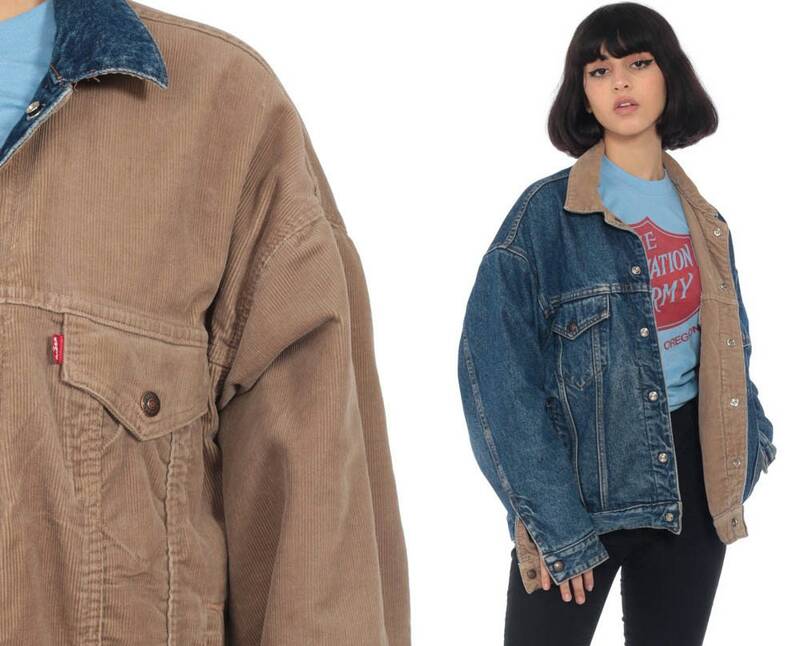 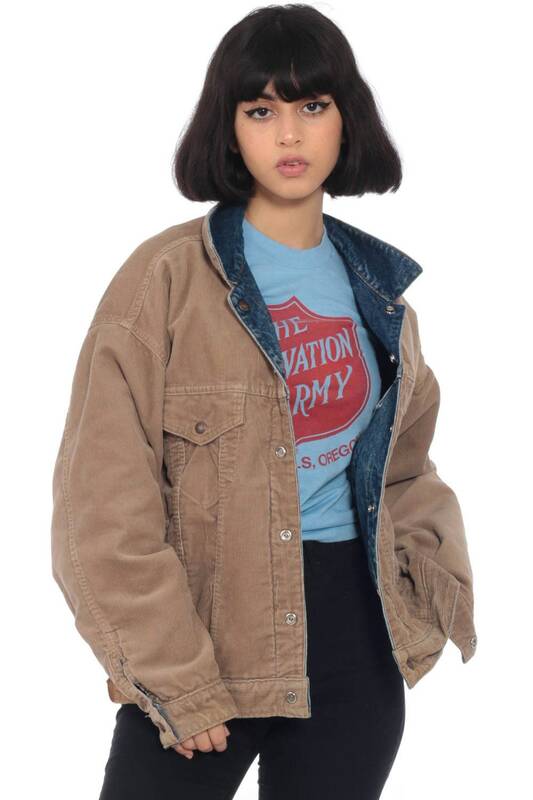 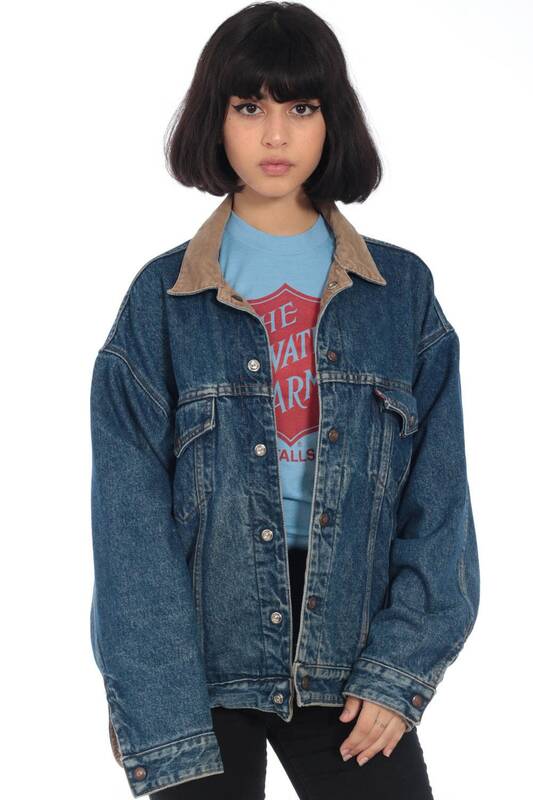 Vintage 80s denim jacket by Levis in reversible tan corduroy and blue denim. 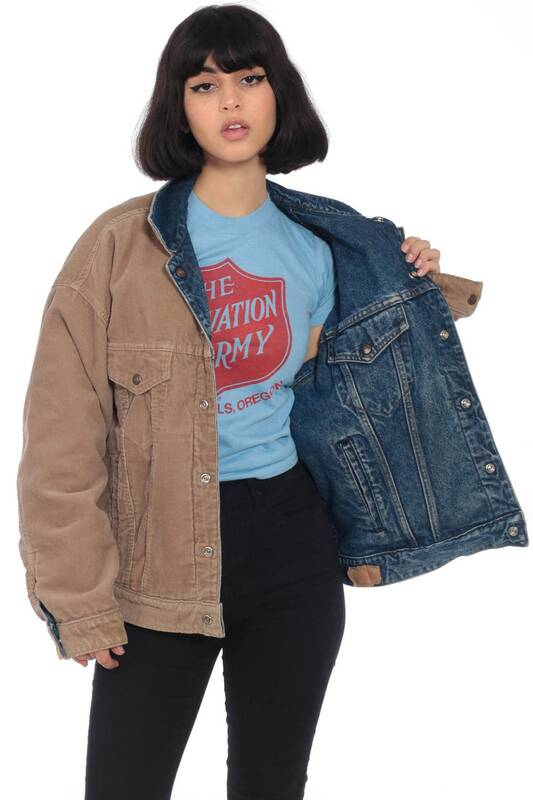 Condition: Very good vintage with light general wear. 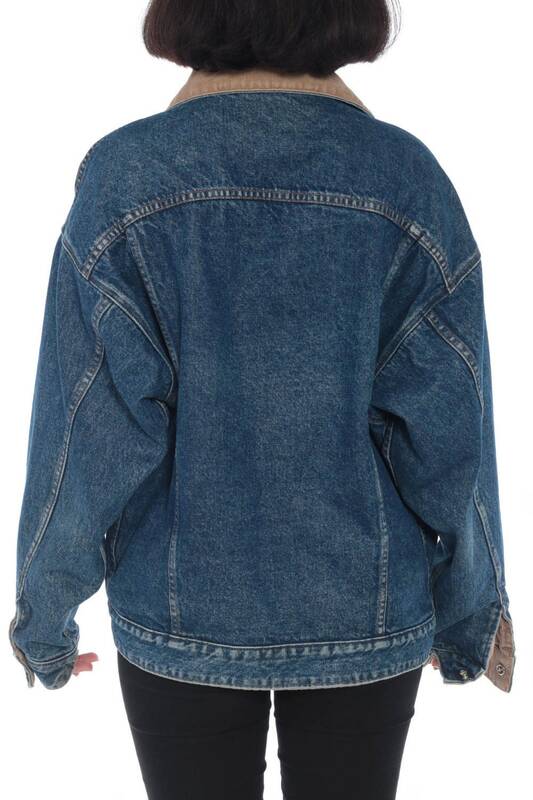 Denim side has a couple light spots on the front. 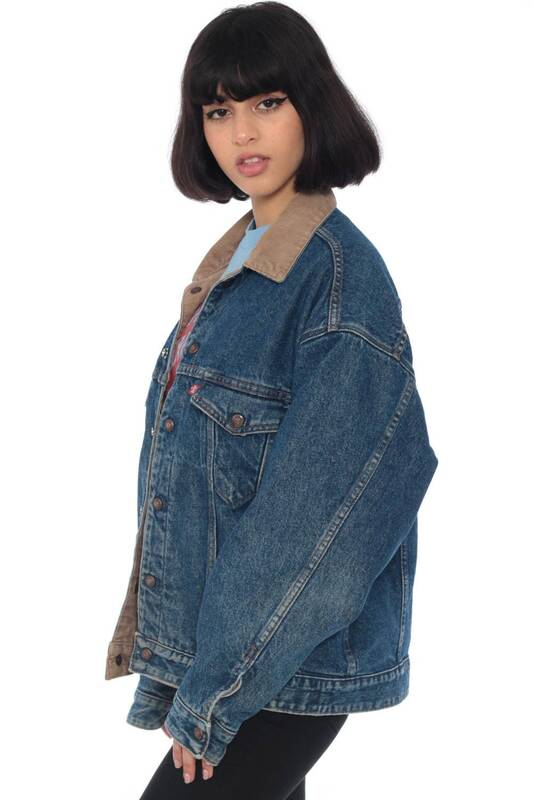 Material: Denim on one side, Corduroy on the reverse side.